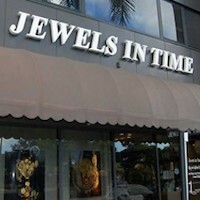 WELCOME TO JEWELS IN TIME.Jewels in Time is the premiere source for new and pre-owned watches and & jewelry in South Florida. 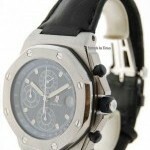 We are a real brick-and-mortal watch & jewelry store. 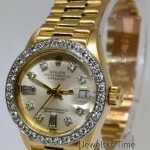 Case material: Yellow gold; Charge: Manual; Conditions: New Presentation condition : With dealer guarantee ; Place: Usa, Boca Raton Model: Oyster Precision Price on request Jewels in Time Reference: 8821 Brand: Rolex Model: Precision Reference: 8821 Case: 18k yellow gold Size: 16mm x 16mm square head Dial: Silver dial Attachment: Rolex 18k yellow gold link bracelet with double locking clasp buckle Movement: Manual wind Box/Papers: No box or papers. Comes with our JIT 2 year warranty. 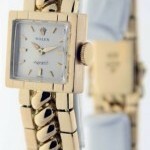 Notes: Excellent preowned ladies Rolex vintage dress watch. 47.4 grams / 30.5 dwt total weight. ~ 7 inches in length. 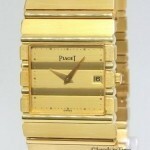 Case material: Yellow gold; Charge: Quartz; Conditions: Used Presentation condition : With dealer guarantee ; Place: Usa, Boca Raton Model: Polo Price on request Jewels in Time Reference: nessuna Excellent preowned mens Piaget Polo Perpetual Calendar in 18k yellow gold dress watch on the bracelet. Total weight: 132.97 grams / 85.5 dwt. Total length: 7 inches. 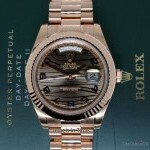 Case material: Yellow gold; Charge: Automatic; Conditions: New Presentation condition : Without documents; Place: Usa, Boca Raton Model: Day Date II / President II Price on request Jewels in Time Reference: 218235 Brand new plastic clad mens Rolex Day-Date II President , reference 218235, in 18k pink gold features a gorgeous bronze wave arabic dial. Random serial number. Comes complete with its box and papers and hang tags as shown. 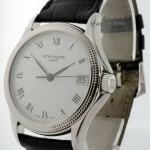 Retail: $37,550. 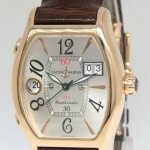 Case material: Rose gold; Charge: Automatic; Conditions: Used Presentation condition : With dealer guarantee ; Place: Usa, Boca Raton Model: Michelangelo Price on request Jewels in Time Reference: 226-68 Pristine preowned mens Ulysse Nardin Michelangelo UTC Dual Time 226-68 in 18k rose gold. 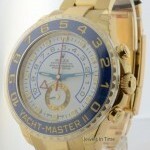 Retail: $14,800. 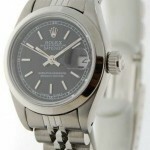 Case material: Steel; Charge: Automatic; Conditions: Never worn Presentation condition : With dealer guarantee ; Place: Usa, Boca Raton Model: Datejust Price on request Jewels in Time Reference: 68240 Brand: Rolex Model: Datejust Reference: 68240 Case: Stainless steel with smooth bezel Size: 31mm Dial: Rolex brown Jubilee with Arabic numerals Attachment: Rolex stainless steel Jubilee bracelet with deployant buckle. Fits up to 6.5" wrist. 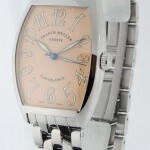 Movement: Automatic Box/Papers: No box or papers. Comes with our JIT 2 year warranty. 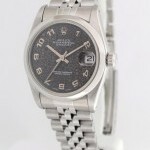 Notes: Mint preowned ladies midsize Rolex Datejust (ref. 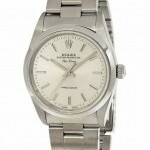 68240; N-series - 1991) in stainless steel features desirable original Rolex Jubilee dial.